More than 6 billion gallons (23 million liters) of water are lost daily due to leaking pipes (ASCE 2009). Additionally, a large number of pipes in water distribution networks and oil and power industries are badly deteriorated and require repair or strengthening. These pipes are usually pressurized, and deterioration of reinforcement results the hoop stresses to exceed the capacity of the pipe. When unattended, the consequences of such failures are grave and can leave entire neighborhoods under water (Johnson and Shenkiryk 2006) or force emergency shutdown of plants. A common strengthening approach in the last decade has been to apply one or more layers of carbon fabric inside the pipe. The author has been involved in such projects in a major U.S. nuclear power plant since 1988. The fabrics provide adequate strength in the hoop and longitudinal directions. While very effective, the time associated with the wet layup method has been a major drawback to this system. Super laminates significantly reduce the construction time. The flexibility of the laminates allows them to be wrapped around cores that are 12 inches (300 mm) in diameter for ease of transport into pipes through manholes that are typically 24 inches (600 mm) in diameter (Fig. 3). The ability of super laminates to conform to the diameter of the pipe, i.e. “one size fits all,” is a major time and money saving attribute of this system for contractors. Most of the current products on the market that can be used as liners to repair or strengthen pipes have a fixed diameter and cannot be applied to different size pipes. Installation involves applying a thin layer of epoxy putty to the back of the supper laminate and pressing the laminate against the pipe surface. No effort is required to remove the air bubbles as the supper laminates are pre‐cured. In fact, depending on the diameter of the pipe, the elastic memory of the coiled super laminate may cause it to expand inside the pipe (like a loaded spring) and snap against the host pipe with little effort. Continuity of the super laminate rings is achieved by adequate overlap lengths in the hoop and longitudinal directions. Thus, unlike ordinary laminates that are unidirectional, super laminates do allow strengthening of the pipe in both hoop and longitudinal directions with a single application. Not only super laminates are installed faster than fabrics, it is possible to include multiple layers of fabric into a single laminate, further reducing construction time. When steel pipes require strengthening, to avoid galvanic corrosion, a layer of glass fabric is typically applied to the surface of the pipe before any carbon fabric is applied (ACI 440, 2008). This protective layer can also be included in the super laminate, resulting in even further time savings. 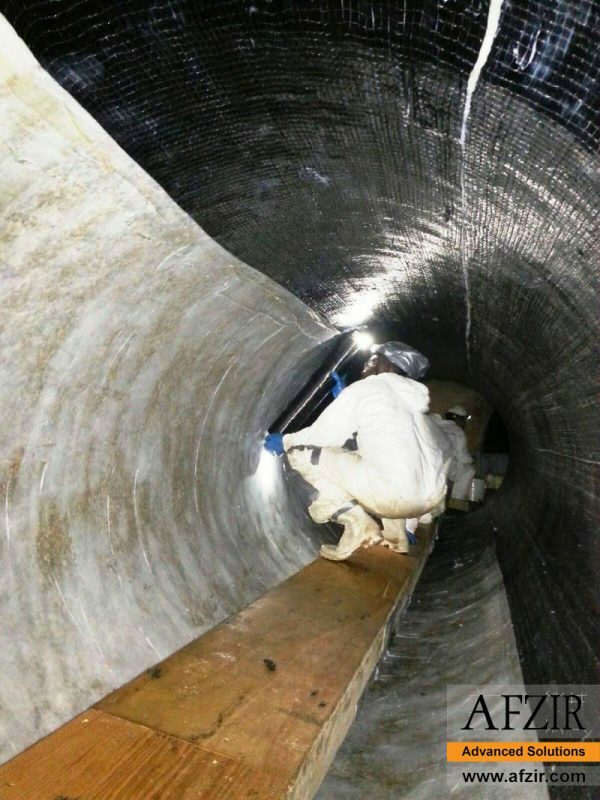 Thus instead of saturating and applying three layers of fabric to the pipe, the strengthening can be achieved by installing a single layer of super laminate. This can reduce the construction time by as much as 80% in many jobs. Such significant reduction in repair time makes many larger retrofit projects possible, where the water authority, for example, could not afford the long shutdown time required for conventional repairs. 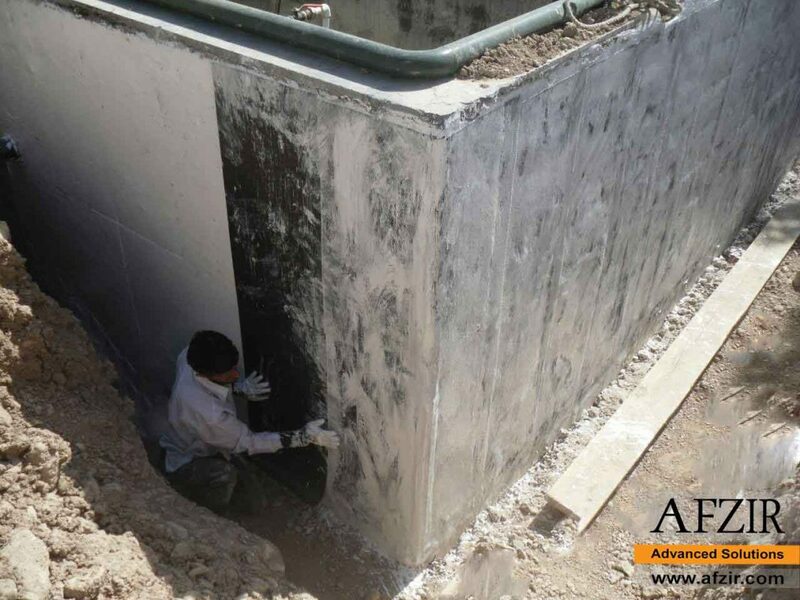 Afzir Company provides a complete line of products for pipeline renovation that can be found at www.afzir.com/en/. Many structures such as silos and water or oil storage tanks are designed as cylinders. The hydrostatic pressure from the stored grains or liquid produces hoop stresses in the side walls of these structures. The stresses are maximum at the base and gradually reduce along the height of the wall. 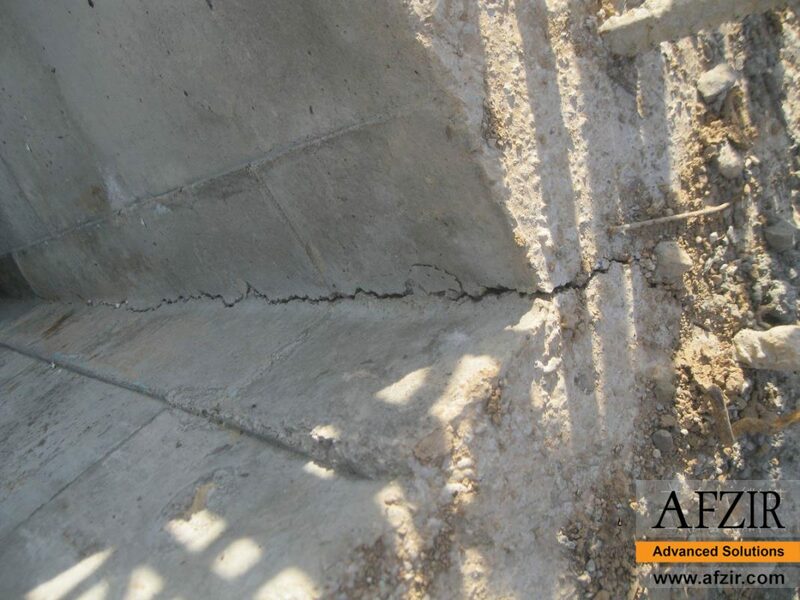 Corrosion results in reduction in cross sectional area of reinforcement in concrete structures and reduction in wall thickness in steel structures. This compromises the hoop strength in these structures. Fabrics of carbon or glass FRP saturated with epoxy resin can be applied to the interior or exterior surface of the tank to strengthen the tank. Super laminates offer economical solutions for such applications. The sheets that can be as wide as 60 inches (1.5 m), and slightly longer than the circumference of the circular tank can be bonded as rings on the inner surface of these structures. The laminates will be designed as primarily uniaxial products, to provide significant strength in the hoop direction after installation. Continuity of the rings in the horizontal direction can be achieved by overlapping the ends of the rings. The super laminates used in the lower portions of the wall can be constructed with more layers of reinforcing fabrics; the thickness of the super laminate can be reduced for subsequent layers that are installed farther from the base of the tank or silo. Along the height of the wall, super laminates can be overlapped slightly to prevent any fluids stored in the tank from reaching the host structure. Afzir engineers will calculate the required number of layers and orientation of the fabric for each project and will submit sealed engineering design drawings to the owner. Afzir engineers can provide you the best solution for repairing of different types of tanks, including concrete water & waste water tank, steel water & waste water tank, polymer water & waste water tank, steel oil & gas tank and polymer oil & gas tank.